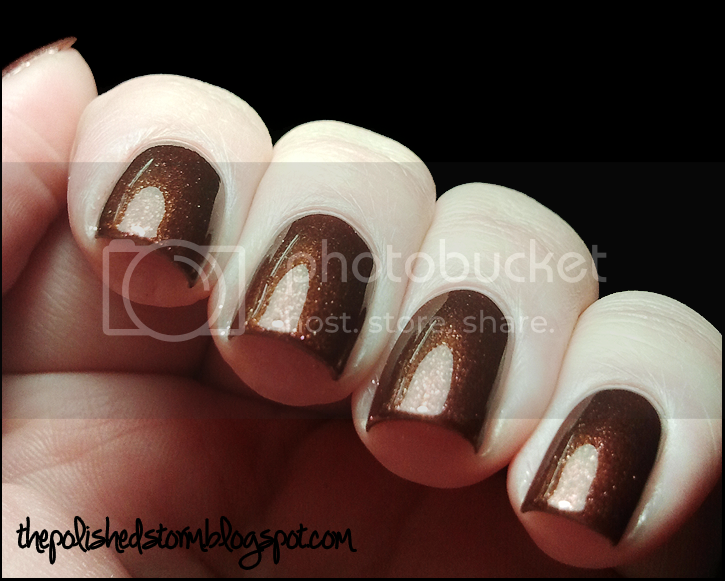 I am thrilled to say that this first post is dedicated to a collection from my all time favorite nail polish brand, Cult Nails. 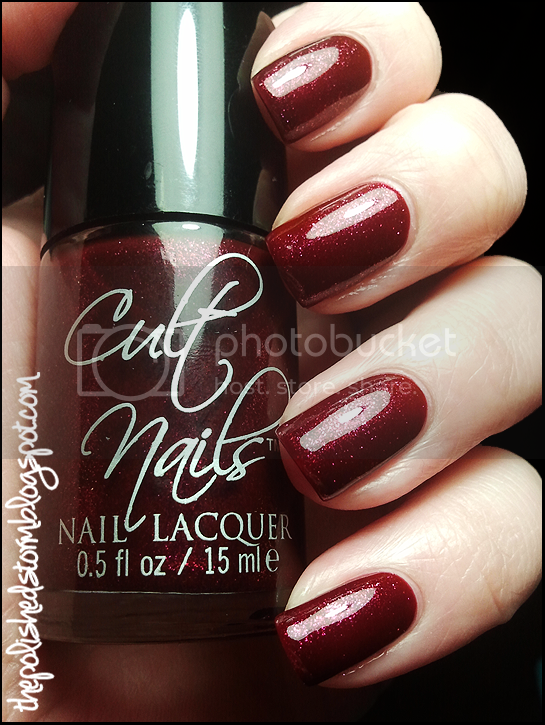 When fellow blogger Maria decided she just couldn’t find the colors she was looking for in the collections she saw being released she took matters into her own hands and the result was Cult Nails! 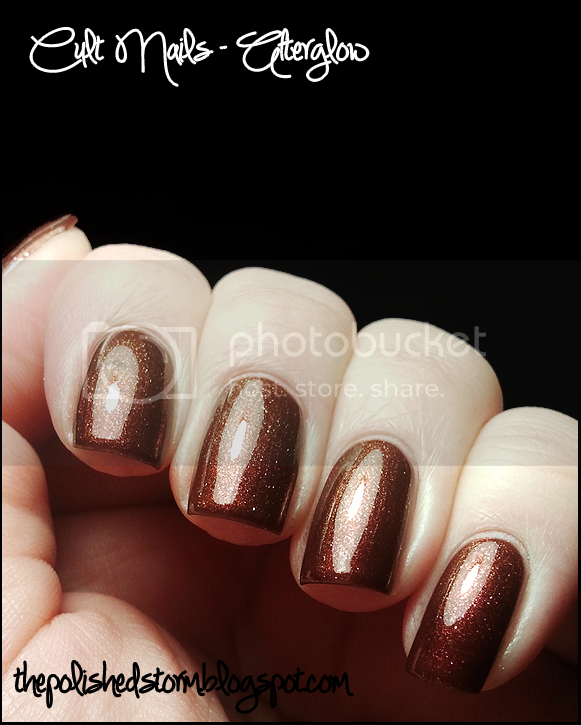 Today I have the two colors from the Behind Closed Doors collection to show you. This collection is made up of 5 lacquers created by Maria, but inspired by ideas from friends and readers. I am completely in love with each and every one of the colors in the Behind Closed Doors collection and hopefully by the end of this post you will be at least in love with these two. 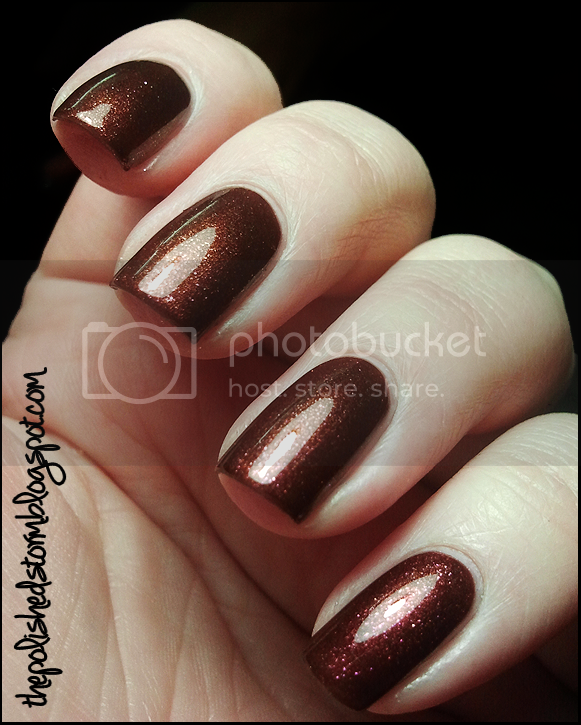 After Glow is a glowing, shimmery copper lacquer with pink shimmer that is apparent without being overpowering. The second lacquer I have for you is Bitten. Bitten is a deep shimmery raspberry color that reminds me of the raspberry topping I make for my chocolate ganache pies at the holidays. Mmmmm. 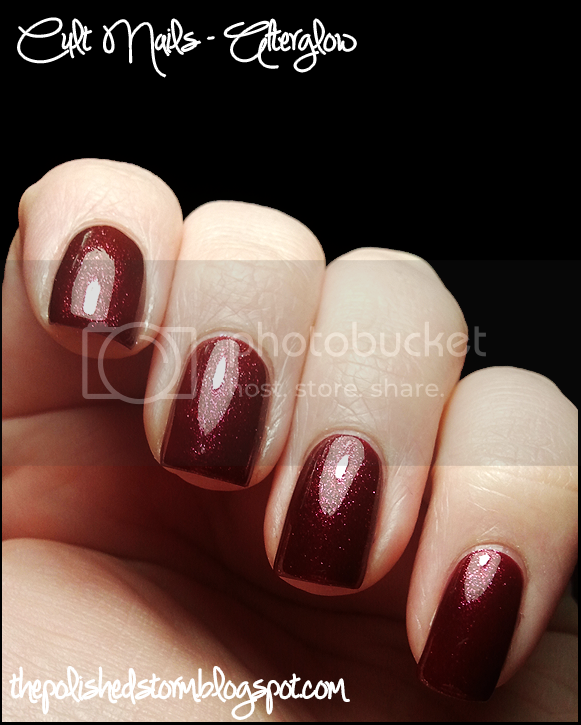 I had opacity at 2 coats, but I used 3 because I wanted a deeper red. I have to say I didn’t expect this to be one of my must haves but it is. 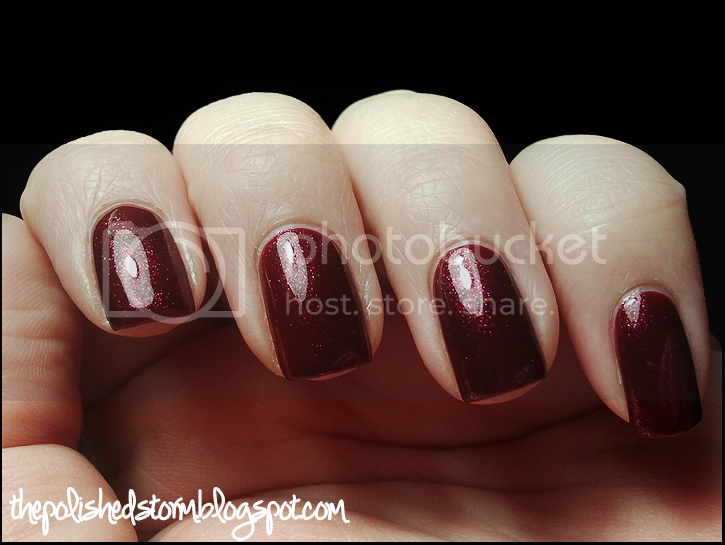 For these photos: 1 coat Essie Grow Stronger as a base coat, 3 coats of Bitten and 1 coat of Seche Vite topcoat. Hopefully I’ll have the other 3 colors up sometime in the next couple days!